Argentina is the 8th largest country in the world with a highly productive economy, liberal trade policies, an abundance of energy resources and a wide range of industrial sectors. This Latin American country is becoming a prominent figure on the international stage, having hosted the recent G20 Summit. Several policies and agreements have been created to stimulate foreign investment and entrepreneurial activity, just a couple of the many great reasons to do business in Argentina. The recruitment opportunities are increasingly attractive to foreign businesses – the population is highly educated, with a 98% literacy rate, many bilingual citizens and the region has a high rate of student enrollment. Whilst Argentina is currently experiencing great economic strain, steps are being taken to resolve the crisis and the IMF expects the Argentine economy to begin a gradual recovery in 2019 and 2020. In the meantime, there is still great potential for growth in a variety of sectors in Argentina. Member of MERCOSUR, the South American trade bloc, with the intention of encouraging free trade. Third-largest producer of GM crops in the world. Recent Entrepreneur’s Law (Ley de Emprendedores) aimed at promoting entrepreneurship. Investment policies – Foreign Direct Investment (FDI) is actively encouraged with foreigners experiencing equal treatment to locals. Creation of the Simplified Shares Company (‘S.A.S’) – a legislation enabling an easier and less complex company formation process. 21 bilateral agreements with different countries worldwide (to prevent double taxation). Given the economic strength, many businesses are looking to expand their commercial options to Argentina. However, before setting up a local company or a branch office, many companies like to ‘test’ the local market. A Professional Employer Organisation (PEO) solution is a great way to do this. PEOs make hiring local staff easy. A Professional Employer Organization (PEO), otherwise known as an ‘Employer of Record’ is an organisation that provides and supports companies with their HR functions – from the very first stages of recruitment to the payments of taxes and benefits. PEOs undertake the fundamental but time-consuming HR tasks, allowing companies to focus their attention on the growth and success of their business. The services of a PEO are particularly useful when companies are seeking to hire a local workforce but do not want to set up a local legal entity. Real Life Example: A British company wants to hire a bilingual engineer to join their team. They decide they want to hire an employee from Argentina (due to the highly educated workforce and the economic benefits of hiring foreign staff). The UK company knows the time and costs involved with setting up a local entity in Argentina and so they look at other, more cost-effective options. After some research, they decide to form a co-employment relationship with a PEO. This enables the company to hire the Argentine employee without the need to have a fully incorporated company in Argentina. The PEO assists the company in finding the most suitable employee and then it deals with the administrative and legislative aspects of employing this chosen candidate. The individual is technically employed by the PEO, who ensures that all employment laws regulation is met, but the candidate is directed by the UK company. A PEO will enable your company to focus on the development of your business and the direct control of your employees while the HR burdens are outsourced to a PEO. Cost-effective – Reduces recruitment and administrative expenses and saves you money if you want to hire local staff but do not have a fully incorporated company or branch office. Recruitment – Assists you in finding the most suitable and qualified staff for your company. Time-effective – Removes the need for you undertaking the time-consuming but fundamental tasks of processing payrolls and other HR administration. Local expertise – PEOs ensure that you are in compliance with all Argentine employment laws and regulations. Foreign nationals who have the intention of registering a business in Argentina must first take into account the fundamental employment laws and regulations. Companies must ensure 100% compliance with the legal requirements before entering into an employment relationship in Argentina. Indefinite-term Contracts – No legal requirement to have a written agreement. 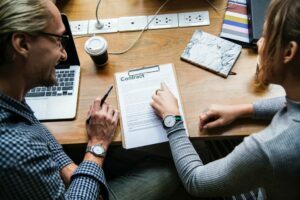 However, it is still recommended to sign a contract for the purpose of clarification regarding the terms and conditions of the employment relationship. Fixed-term Contracts – It is mandatory to have a written contract of employment. The period of service cannot exceed five years. Part-time / temporary contracts – A written contract of employment is required. Foreign workers – There are no restrictions on hiring foreign employees to join a company’s workforce. Employment Termination – Employment contracts with an indefinite-term have an initial 3-month probationary period and 15 days notice is required from either party if they wish to terminate the contract. For all employment contracts, the same 15 days notice is required if the employee wishes to terminate the contract. However, if the employer wishes to terminate the contract, the notice period increases with the employee’s length of service. For example, employees who have worked for less than three months are only required to be given 15 days notice. Employees who have worked for over five years must be given two month’s notice by their employer. The maximum notice period that small businesses are required to give employees is one month. Regardless of the type of employment contract, if no prior notice is given, the employee is entitled to compensation. Working Hours – A working week can be a maximum of 48 hours, with a maximum of eight hours per day. Overtime – Apart from managers and directors, all employees can receive overtime pay. Any extra hours of work that exceed the maximum workday are paid in overtime – employees are entitled to their salary plus an extra 50% for extra weekday hours and 100% for extra weekend hours. Overtime cannot be in excess of 30 hours a month/200 hours a year. Paid Vacation – Ranges from 14 to 35 consecutive days. Employees who have worked for over six months are entitled to 14 consecutive days of paid vacation. This figure increases with the number of years worked at the company. For example, 21 consecutive days are granted to employees who have given five to 10 years of service. Bonuses – Employees receive two instalments of an annual bonus, known as 13th salary (Sueldo Anual Complementario (SAC) or “Aguinaldo”), equivalent to 50% of their best month’s salary, within the most recent six-month period. The first instalment is given on 30th June and the second on 18th December. Maternity Leave – Female employees are entitled to 90 days maternity leave, 45 days before and 45 days after childbirth. Sick Leave – Employees who have worked for up to 5 years are entitled to full compensation (amounting to their salary), for a maximum of three months sick leave per year. The amount of sick leave granted to employees increases with the number of years of service. Do you need a PEO solution in Argentina? Argentina is a country where business opportunities are plentiful hence it being an increasingly appealing jurisdiction to do business in. The Argentine workforce is competitive, educated and qualified. If you want to hire local employees, but do not have an incorporated local entity and want to avoid the administrative burden of HR, then a PEO may be the perfect solution, both from a business-growth perspective and a financial one. Contact our bilingual Country Manager of Biz Latin Hub Argentina, Javier Alegre, at [email protected] to learn more about how we can support you throughout the hiring and recruitment process in Argentina. Watch the short video below and learn how our tailored legal and immigration services can assist you in Latin America. If you wish to enquire about our services, click the button below!